Zaretta Hammond is a former classroom English teacher who has been doing instructional design, school coaching, and professional development around the issues of equity, literacy, and culturally responsive teaching for the past 18 years. She teaches as a lecturer at St. Mary’s College’s Kalmanovitz School of in Moraga, California. 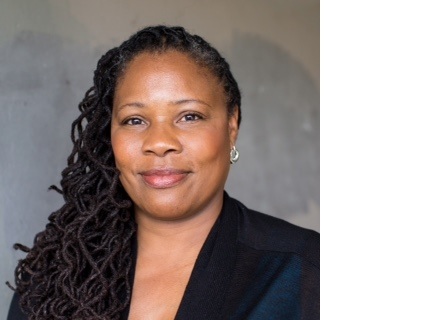 In addition to consulting and professional development, she has been on staff at national education reform organizations, including the National Equity Project and the former Bay Area School Reform Collaborative (BASRC). She has trained instructional coaches in reading development, especially targeted at students of color and English learners. She has also designed national seminars such as the three-day Teaching with A Cultural Eye series for teachers and school leaders. She is regularly invited to present at regional and national conferences. She has authored articles that have appeared in publications such as Phi Delta Kappan. Along with a focus on culturally responsive teaching, Ms. Hammond has a strong research agenda around literacy, vocabulary development, and equity. She has designed culturally responsive tutor training programs aimed at volunteer reading tutors for a variety of non-profit organizations. She currently designing a literacy program to accelerate low reading skills among high school students. She holds a Masters in Secondary English Education. She also writes the popular ready4rigor.com blog. Zaretta is the proud parent of two young adult children, both of whom she taught to read before they went to school. She resides in Berkeley, CA with her husband and family.